Yesterday I made a long-overdue pilgrimage to a “Ballet in Cinema” event! A surprisingly full house showed up at the Chelsea Clearview Cinema for the 11 am(!) 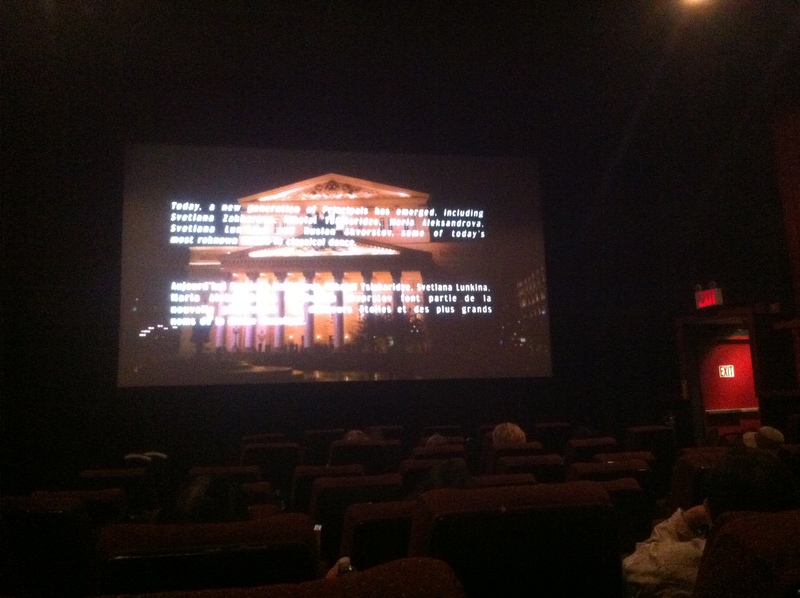 screening of The Pharaoh’s Daughter, as broadcast last fall from the Bolshoi Theater. As with the Metropolitan Opera’s “Live in HD” program, summer is the season for encore presentations of performances from the previous year. As for the ballet itself, The Pharaoh’s Daughter is…something, all right. It was the first ballet created in Russia by Marius Petipa, using an exceedingly conventional “specialist” ballet score by Cesare Pugni with a libretto based on an orientalist tale by Théophile Gautier. Very briefly put: an English nobleman journeys to Egypt and in an opium-induced reverie falls into a star-crossed love affair with the daughter of the Pharaoh. Along the way there are innumerable occasions for every sort of 19th-century ballet number, including a dancing monkey and a “ballet blanc” featuring the spirits of the great rivers of the world. Most of it was innocent fun and games, with the exception of several characters in decidedly un-ironic blackface. One wonders when if ever Europe will get the memo that this sort of thing just can’t be done anymore. French choreographer Pierre Lacotte oversaw this recreation of the ballet, which had not been performed since the 1920s, when Soviet authorities decided it was not in keeping with their aesthetic ideals. The choreography did not aim for or achieve any great innovation or reinvention, but neither did it live up to the more exciting dancing “after Petipa” that we are familiar with. I for one found myself longing for a more radical re-imagining, but you take what you can get. Especially poignant was an intermission interview with Sergei Filin, the Bolshoi artistic director now famous as the victim of a horrific acid attack. This performance occurred before those tragic events, lending the show an retrospective mix of innocence and melancholy.